Latest 70-696 Real Questions and answers, Free 70-696 Exam Questions Download , Valid 70-696 Dumps! Q1: Can I use 70-696 exam Q&As in my phone? 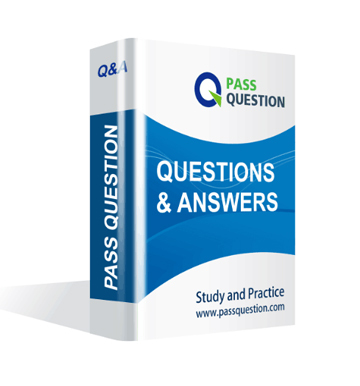 Yes, PassQuestion provides MCSE 70-696 pdf Q&As which you can download to study on your computer or mobile device, we also provide 70-696 pdf free demo which from the full version to check its quality before purchasing. Q2: What are the formats of your Microsoft 70-696 exam questions? PassQuestion provides Microsoft 70-696 exam questions with pdf format and software format, pdf file will be sent in attachment and software file in a download link, you need to download the link in a week, it will be automatically invalid after a week. Q3: How can I download my 70-696 test questions after purchasing? We will send MCSE 70-696 test questions to your email once we receive your order, pls make sure your email address valid or leave an alternate email. Q4: How long can I get my MCSE 70-696 questions and answers after purchasing? We will send MCSE 70-696 questions and answers to your email in 10 minutes in our working time and no less than 12 hours in our off time. Q5: Can I pass my test with your MCSE 70-696 practice questions only? Sure! All of PassQuestion MCSE 70-696 practice questions come from real test. If you can practice well and get a good score in our practice Q&As, we ensure you can pass your Administering System Center Configuration Manager and Intune exam easily. Q6: How can I know my 70-696 updated? Q7: What is your refund process if I fail Microsoft 70-696 test? If you fail your 70-696 test in 60 days by studying our study material, just scan your score report and send to us in attchment,when we check, we will give you full refund. You need to identify what prevents you from deploying App5 by using a Microsoft Application Virtualization (App-V) package. You need to identify the percentage of Configuration Manager client computers that are missing software updates released by Microsoft. Which four actions should you perform in sequence on Server3? To answer, move the appropriate actions from the list of actions to the answer area and arrange them in the correct order. You need to identify which Windows Intune Software Publisher parameter must be specified to deploy the updates to App1. Which parameter should you identify? You need to generate the security report. A. From Windows Intune, configure an alert policy. B. From Configuration Manager, deploy a configuration baseline. D. From Update Services, configure reporting rollup. You need to identify the steps required to provide management of the Windows 8.1 RT tablets deployed to the sales users. Proseware, Inc. is an international manufacturing company that has 3,000 employees. The company has a sales department a marketing department, a research department and a human resources department. Proseware has two main offices and five branch offices. The main offices are located in New York City and London. The branch offices are located in Singapore, Sydney, Auckland, Montreal, and Tokyo. Users from each department are located in each office. All of the offices connect to each other by using a WAN link. Each office also has a direct connection to the Internet. The network contains one Active Directory forest named proseware.com. The forest contains a single domain. All servers in the domain run Windows Server 2012 R2. Each office contains a single domain controller. Each domain controller is configured as a DHCP server and a DNS server. Each office is configured as an Active Directory site. There is an organizational unit (OU) for each department. All client computers are configured to use the DNS server in their respective office only. The client computers in all of the offices are managed by using Microsoft System Center 2012R2 Configuration Manager. A collection exists for each department. There is a distribution point in each main office. Proseware is evaluating Windows Intune for the management of personal devices. Currently, Windows Intune is not integrated with Configuration Manager. The users in the sales department use laptops. Often, the sales department users are away from the office for more than a month at a time, during which they have no connection to the company network. A corporate security policy for the company-owned client computers states that the Remote Desktop feature must be disabled and if a computer is idle for 15 minutes, a password¨Cprotected screen saver must be activated. Recently, WSUS was integrated with Configuration Manager and several updates were approved and deployed by using Configuration Manager. A third-party desktop application named App1 is used by the users in the sales department and the marketing department. The application vendor publishes weekly updates for App1 to a public FTP site. The updates are packaged as MSP files. A line-of-business Windows Store app named App2 is used by all users. A third-party desktop application named App3 is used by the users in the research department. The first update for App3 was released by the application vendor as a Windows Installer (MSI) package. The update was not deployed yet. App1, App2, and App3 are used only on company-owned computers. • When an update to App1 is available, the sales department users report that they do not receive the update until they return to the office. • Network monitoring reveals that some of the client computers download updates from WSUS servers directly, while some computers download the updates from a Configuration Manager distribution point. • Some users attempt to update App3 manually by downloading the update directly from the vendor's website. Several of these users report that they fail to install the update due to a lack of disk space. • Reduce licensing costs by identifying and uninstalling unused applications. Proseware plans to implement a new Bring Your Own Device (BYOD) policy. The policy will allow users to access corporate data and applications from their personal device. • Redeploy App3 to include the update. • Deploy a new application named App4, a 32-bit desktop application that will be used by the marketing department users on their personal device. • Deploy a new application named App5, a 64-bit desktop application that will be used by all users. App5 uses a third-party installer, requires several pre-requisite software packages, and installs several kernel mode device drivers. App5 will be used only on company-owned computers. • Deploy a new application named App6, a desktop application that will be used by the sales department users. App6 is incompatible with Appl. App6 will be used only on company-owned computers. • Enforce a corporate security policy for personal devices, which states that all devices that have access to corporate data must have a security PIN and must lock automatically after five minutes of inactivity. • Generate a security report that lists all of the desktop computers that do not meet the corporate security policy. • Ensure that the marketing department users can use their applications from their personal device. • Ensure that personal devices have restricted access to domain resources. You need to make App4 available to all of the users. A. Package App4 as an MSI package and upload the installer to Windows Intune. B. Sequence App4 and use streaming delivery. C. Deploy App4 as a Configuration Manager package. D. Deploy App4 to a Remote Desktop Session Host (RD Session Host) server. You need to recommend a solution for updating App1. You need to recommend a deployment solution for App6. What is the best recommendation? More than one answer choice may achieve the goal. Select the BEST answer. You need to recommend a solution for deploying applications to the virtual desktops. Litware, Inc. is an international pharmaceutical company that has 1,500 employees, including a roaming sales staff of 30 users. Litware has a main office and two branch offices. The main office is located in Montreal. The branch offices are located in Toronto and Seattle. All of the offices connect to each other by using a WAN link. The network contains one Active Directory forest named litware.com. The forest contains a single domain. All of the domain controllers reside in the Montreal and Toronto offices. All of the servers in the forest run Windows Server 2012 R2. Each user has a mailbox hosted in Microsoft Office 365. Directory synchronization is configured between Active Directory and Office 365. Litware uses Windows Intune to manage the client computers used by the remote sales users. Both cloud services use the same public domain of litware.com. Litware has a deployment of Microsoft System Center 2012 R2 Configuration Manager. The schema extensions for Configuration Manager are deployed. The deployment contains one primary site. Configuration Manager clients are installed on all of the physical client computers in the Montreal and Toronto offices. The relevant custom collections and custom Client Device Settings objects are configured as shown in the following table. The collection of IDMIF and NOIDMIF files is enabled for the client computers. Auto-creation of software metering rules is disabled. The sales users use Windows Phone devices. The devices are managed by using Microsoft Exchange Online. The network contains the servers configured as shown in the following table. Server4 is used only by the users in the Seattle office to provide access to line-of-business applications. Server5 is used only to provide the users in the Toronto office with access to personal virtual desktops. The disks on Server11 are configured as shown in the following table. 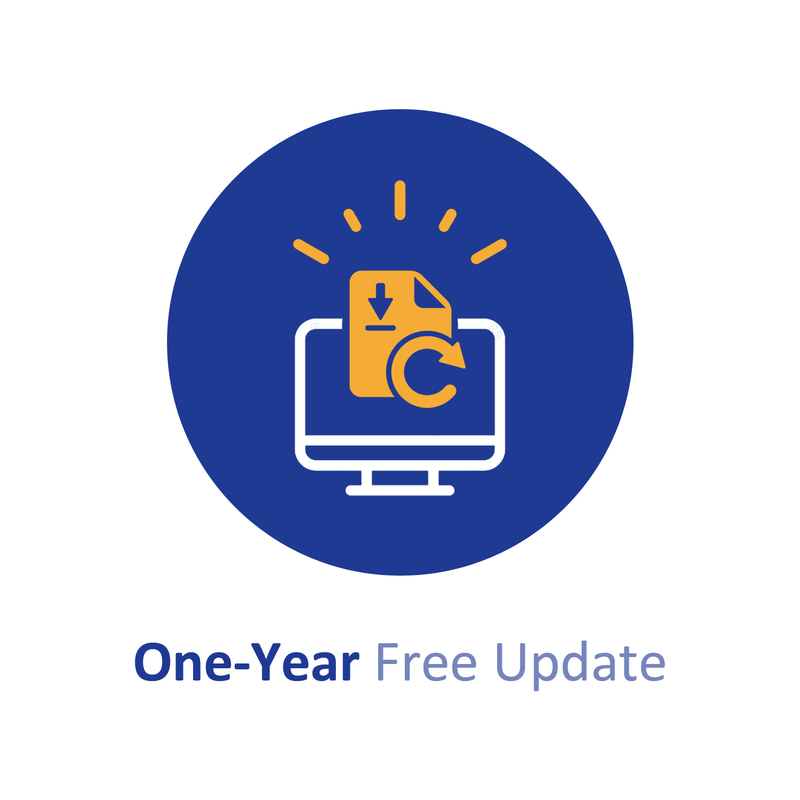 Server11 contains a copy of all the up-to-date Windows and Endpoint Protection definition updates in a share named Updates. The network contains the client computers configured as shown in the following table. Each sales user has administrative privileges on their laptop. All other users do not have administrative privileges on their computer. The sales users use a third-party application named App1. App1 is installed by using a Windows Installer (MSI) package and a Windows Installer transform (MST). App1 updates are released in the MSP format. Updates for x86 and x64 platforms are released separately. Users in the Montreal office use several different versions of two applications named App2 and App3. The applications are configured as shown in the following table. Each office has an Internet connection. Last month, Litware reconfigured its web proxies, enforcing user authentication from all on-premises systems when connecting to the Internet. • There are compatibility issues between the applications that run on Server4. • An older version of App1 runs on some of the laptops of the sales users. • Since the reconfiguration of the web proxies, Server3 and Server21 can no longer synchronize software updates. As much as possible, Litware wants to minimize the costs associated with purchasing hardware and software. • Use Configuration Manager to manage all physical computers, tablets, and phones. • Integrate Microsoft Application Virtualization (App-V) 5.0 with Remote Desktop Services (RDS) and Configuration Manager. • Replace the laptops of the sales users with tablets that run Windows 81 RT and make all of the sales applications available through Remote Desktop. • The amount of disk space used by virtual desktop infrastructure (VDI)-based virtual machines must be minimized. • The principle of least privilege must be used, whenever possible. • Administrative effort must be minimized, whenever possible. • The Seattle office users must use RemoteApp to run all of their applications. Usage of the applications must be tracked. • All new applications must use App-V 5.0. Currently, App-V is not used on RDS servers. • App1 must be updated on the client computers of the sales users. • App2 and App3 must be metered. • Windows Phone 8.1 devices are the only smart phones permitted to access email on the Litware network. • No additional software must be installed on the Windows Phone devices of the sales users. • Only the sales users must be able to enroll their Windows 8.1 RT devices for management. • Configuration Manager must be able to generate license reconciliation reports for third-party applications installed on the desktop computers in the Montreal office. • Inventory of each Configuration Manager client in the Toronto office must include the phone number and the extension of the office in which the computer is located. • Configuration Manager inventory of the Montreal office must include photocopiers and a custom hardware WMI class for each client. • The impact of Configuration Manager inventory and software metering on the performance of client computers must be minimized. • On the client computers in the Toronto office, client health auto-remediation in Configuration Manager must be disabled. • Configuration Manager application packages and software update packages must be stored on drive E of the distribution points. If drive E is full, packages must be stored on a drive that has the most available disk space, except for drive C.
• All WAN and Internet traffic caused by the installation of the Configuration Manager clients, as well as the download of Endpoint Protection definition files and software updates, must be minimized. • Configuration Manager must be used to manage all of the physical client computers and the mobile devices. RDS servers and virtual desktops will not be managed by using Configuration Manager. • Configuration Manager software update points must be configured to allow synchronization and the download of software updates. • The number of changes to the Configuration Manager Default Client Settings must be minimized. • Server11 must be configured as a distribution point. You need to recommend a solution for monitoring the application usage of the Seattle office users. What should you include in the recommendation? To answer, drag the appropriate servers to the correct actions in the answer area. Each server may be used once, more than once, or not at all. You may need to drag the split bar between panes or scroll to view content. You need to identify the minimum number of Configuration Manager metering rules required to monitor the usage of App2 and App3. Which number should you identify? You need to recommend a solution to identify which applications must be uninstalled.